Studio Tessere (Italian for weaving studio) is a one-woman operation, with the exception of a few furry assistants, based in Boston, Massachusetts. 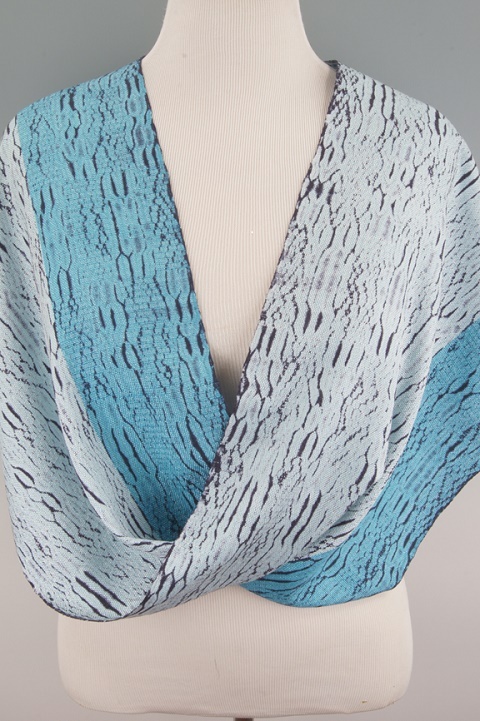 I produce hand painted or hand dyed, hand woven wearable fiber art using silk, bamboo, tencel, cotton, and linen. Currently, my work is focused on Woven Shibori, a technique where the pattern threads are inserted as I weave the fabric. Then those threads are pulled and tied off to provide a resist before being hand painted or immersion dyed. 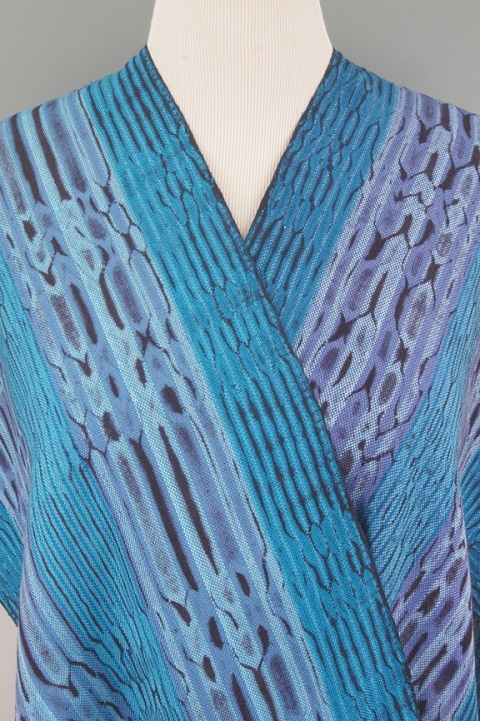 After dyeing, the pattern threads are removed and the pattern is exposed creating a unique piece. I love working with color and coming up with unexpected color combinations. 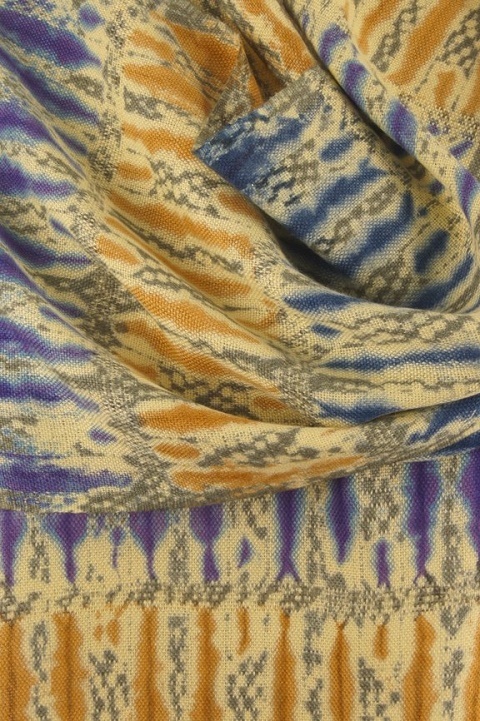 The color choices and dying method can make the same pattern look very different, adding to the uniqueness of each scarf or shawl and making it one of a kind.